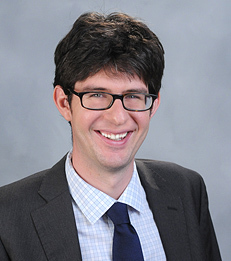 Patrick O. Perry joined New York University Stern School of Business as an Assistant Professor of Information, Operations & Management Sciences, IOMS-Statistics, in September 2011. Professor Perry's research interests are in modern multivariate statistics, a combination of high-dimensional inference and efficient methodology for emerging data sources. He has studied high-dimensional latent factor models, cross-validation for unsupervised learning and methodology for modeling and inference of network dynamics. He is currently focusing on applications to social and economic networks. His work has been published in the Annals of Applied Statistics and the Journal of Machine Learning Research. Prior to joining NYU Stern, Professor Perry was a Postdoctoral Researcher at Harvard University, working on modeling and inference for network data. Professor Perry received a B.S. in Mathematics, an M.S. in Electrical Engineering and a Ph.D. in Statistics from Stanford University.